As part of Flipkart’s upcoming ‘Big Freedom Sale’ festivities to mark India’s 72nd Independence Day, many products on the site are being offered at a hefty discount for a three-day period from August 10 to 12. 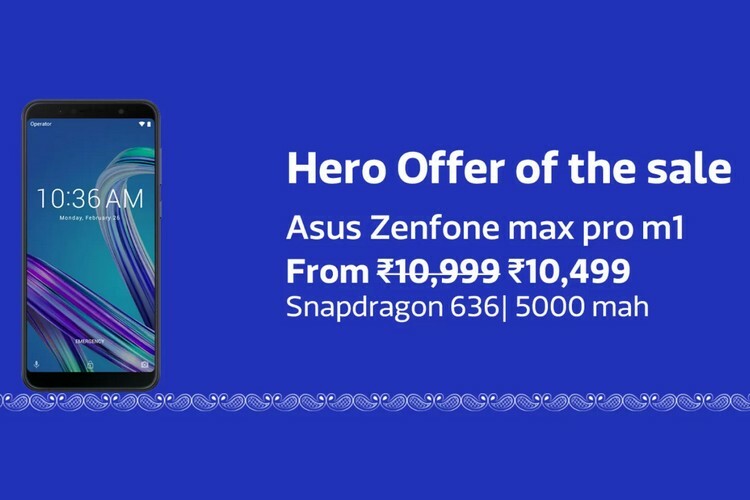 As part of the offer, both of Asus’ new smartphones, the Zenfone Max Pro M1 mid-ranger and the ZenFone 5z flagship, will be offered at discounted prices. According to an official press release from the Taiwanese company, buyers will get a Rs. 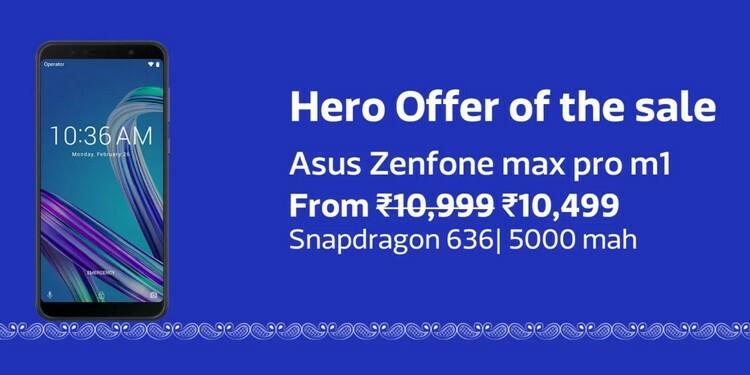 500 rebate on both the 3GB+32GB and 4GB+64GB variants of the Zenfone Max Pro during the sale period. Furthermore, Citibank credit card users will be eligible for an additional cashback of up to 10 percent. While the ZenFone 5Z will not get a flat discount, buyers will be able to bag an extra Rs. 3000 off on exchange. Additionally, they’ll also be eligible to get Rs. 2000 off on select bank cards, says the release. Asus launched the ZenFone Max Pro M1 in India back in April with impressive hardware specs in an attempt to take on Xiaomi. Three different models of the device were announced with 3GB, 4GB, and 6GB RAM, but only the first two were made available at launch, with the 6GB model launched only last month. The Max Pro was launched in India at Rs. 10,999 for the 3GB+32GB version and Rs. 12,999 for the 4GB+64GB model. Which means that after the flat Rs. 500 discount, buyers will be able to get their hands on the device for Rs. 10,499 and Rs. 12,499 respectively. It’s isn’t immediately clear if the offer will also be applicable to the 6GB model.